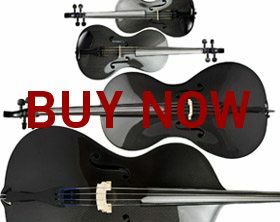 The world’s finest carbon fiber Cello – now in Half-Size. 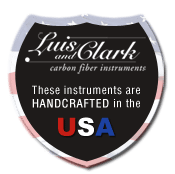 The shape of the Luis and Clark cello makes it easier to play. It is played closer to the body so the bow arm does not have to be so high at the point of the A string, thus reducing one of the causes of the “sore shoulder syndrome.” There is no sharp edge from the cello neck rubbing against the musician’s chest, making this cello more comfortable to play. This instrument uses very little ebony, reducing demand of this endangered tree species.